Want to make your child's birthday extra special? How about a character visit! 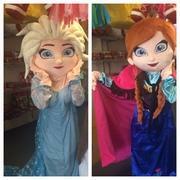 The sisters from "Frozen" will be happy to make an appearance at your event and assist with cutting the cake, opening presents, hitting the piñata all while interacting with your guests and posing for pictures! What a memorable addition to your next party. Want to make your child's birthday extra special? How about a character visit! Anna will be happy to make an appearance at your event and assist with cutting the cake, opening presents, hitting the piñata all while interacting with your guests and posing for pictures! What a memorable addition to your next party. Want to make your child's birthday extra special? How about a character visit! 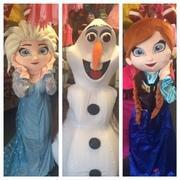 The trio from "Frozen" will be happy to make an appearance at your event and assist with cutting the cake, opening presents, hitting the piñata all while interacting with your guests and posing for pictures! What a memorable addition to your next party. Want to make your child's birthday extra special? How about a character visit! 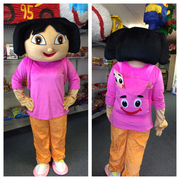 Dora will be happy to make an appearance at your event and assist with cutting the cake, opening presents, hitting the piñata all while interacting with your guests and posing for pictures! What a memorable addition to your next party. Want to make your child's birthday extra special? How about a character visit! Elsa will be happy to make an appearance at your event and assist with cutting the cake, opening presents, hitting the piñata all while interacting with your guests and posing for pictures! What a memorable addition to your next party. Want to make your child's birthday extra special? How about a character visit! Hello Kitty will be happy to make an appearance at your event and assist with cutting the cake, opening presents, hitting the piñata all while interacting with your guests and posing for pictures! What a memorable addition to your next party. Want to make your child's birthday extra special? How about a character visit! Iron Man will be happy to make an appearance at your event and assist with cutting the cake, opening presents, hitting the piñata all while interacting with your guests and posing for pictures! What a memorable addition to your next party. Want to make your child's birthday extra special? How about a character visit! 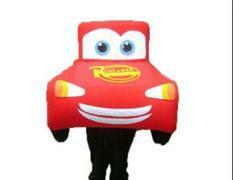 LIghtning McQueen will be happy to make an appearance at your event and assist with cutting the cake, opening presents, hitting the piñata all while interacting with your guests and posing for pictures! What a memorable addition to your next party. Want to make your child's birthday extra special? How about a character visit! 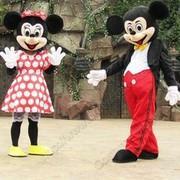 For a discounted price both Mickey AND Minnie will be happy to make an appearance at your event and assist with cutting the cake, opening presents, hitting the piñata all while interacting with your guests and posing for pictures! What a memorable addition to your next party. Want to make your child's birthday extra special? How about a character visit! The Ninja Turtle will be happy to make an appearance at your event and assist with cutting the cake, opening presents, hitting the piñata all while interacting with your guests and posing for pictures! What a memorable addition to your next party. Want to make your child's birthday extra special? How about a character visit! Olaf the Snowman will be happy to make an appearance at your event and assist with cutting the cake, opening presents, hitting the piñata all while interacting with your guests and posing for pictures! What a memorable addition to your next party. Want to make your child's birthday extra special? How about a character visit! Snow White will be happy to make an appearance at your event and assist with cutting the cake, opening presents, hitting the piñata all while interacting with your guests and posing for pictures! What a memorable addition to your next party. Want to make your child's birthday extra special? How about a character visit! Princess Sofia will be happy to make an appearance at your event and assist with cutting the cake, opening presents, hitting the piñata all while interacting with your guests and posing for pictures! What a memorable addition to your next party. Want to make your child's birthday extra special? How about a character visit! Spider-Man will be happy to make an appearance at your event and assist with cutting the cake, opening presents, hitting the piñata all while interacting with your guests and posing for pictures! What a memorable addition to your next party.